This month has been full of behind the scene work, with a large focus being establishing a strong foundation in our various projects, and we’ve seen lots of work done in both group and individual project endeavours. I’ll go into these specifically in more detail later on. 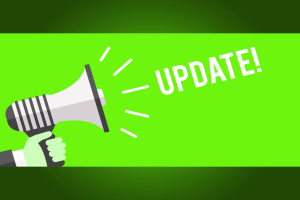 This update will go through our team, application and project specifics of the month, as well as elaborate on the Community Team logistics going forward. This month we saw 235 new applications to LOTC. 209 New Player apps, and 26 alternate account. This is an increase of nine applications from December. We anticipate that from now the numbers will continue to grow, especially shooting up around June/July due to school break. From these 209 applications, we saw an overall acceptance rate of 73.2%. This is a decrease from last month, however we changed the form midway through this month to exclude alt applications from acceptance and racial statistics, which is mostly likely causing the lower rate. Going in to more detail, 36.8% of applications were accepted with no changes needing to be made, 36.4% were accepted after being placed on pending for changes. 20.6% were denied after being placed on pending for changes, and 6.2% were denied straight away. 65.1% of all applications this month were from American Players, 27.6% from European, and 7.2% Oceanic. Humans were once again this month the most popularly applied race, taking 47% of all applications. This is a bit of a decrease from last month however. Elves followed behind with 38.3%, an increase of 6% compared to last month. Dwarves, Orcs and Halflings held the remainder, with 4.78%, 4.3%, and 1.43% respectively. I’d like to congratulate Cornivore for making King of Quota with 31% of all applications this month! Followed very closely behind by Mamabearjade and Aquaquean. As I’ve mentioned quite a bit, January has been a heavily project based month. Every member has been assigned an individual responsibility, so we’re hoping to make a large new player super thread in the near future, full of different guides, information and other things. Thanks for another great month! Looking forward to a great month with a new team, new policies and new responsibilities. Again, if you think you have what it takes- apply for the CT! Well it was good to be Application Team whilst it lasted, I had a great old time and a blast. But it is time for me to move on in many different ways, likely also soon away from the Server, but also @Ivoryyy_ you forgot to put stepped down for me ❤️ you know I only quit because of the merging for personal reasons which I can’t get into detail here as it is inappropriate for the forums to hear about in this place. But I hope the Team strides far more into future ambitions and future goals! It was honestly a wonderful time working on the Team even with people like [REDACTED] and [REDACTED] on the Team to begin with. Along my time I was going through some hard times though which I still am and is seeking professional help for. But as said above it was it was a blast I did not have a single bad day on The Team throughout my entire time there no matter how much pressure those two placed on me those being [REDACTED] and [REDACTED] But it was not meant to last however as the latest merge of Teams lead me to leave for personal reasons, deep personal feelings and terrors with a player I would be forced to work with. And I will be honest, I am missing every single second of being able to stand there and help full force with new players I just hope this year is going to be wonderful for the new CT. Very happy to find out that we’ve been able to consistently stay above 200 new players a month ever since march last year. Even though Minecraft, like any aging game, dwindles, LotC keeps afloat. We have the vigilant and dedicated AT Community Team to thank for that. Although retention is not where I’d like it to be but that’s not your fault nor your responsibility. Great job this month. Like every month. This is completely unrelated to anything in this thread, but do you know if there’ll be a crafting system coded into 7.0 or not?